Save up to 80% on pre-owned Viasys Vela ventilators. The Simple Touch™ user interface on the VELA ventilator reduces training time, produces consistency in method and enhances clinician confidence. 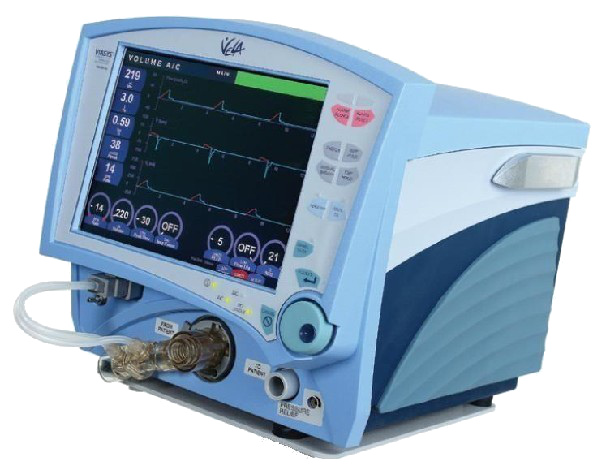 The exclusive BiCoreTM technology integrated into the Vela ventilator connects you to your patient like no other ventilator can.